The latest version of Android offers a lot of performance upgrades and some new whiz-bang features. Phone Scoop takes it for a spin on the Galaxy Nexus. Read our hands-on impressions of the new notification tools, camera app, and more. 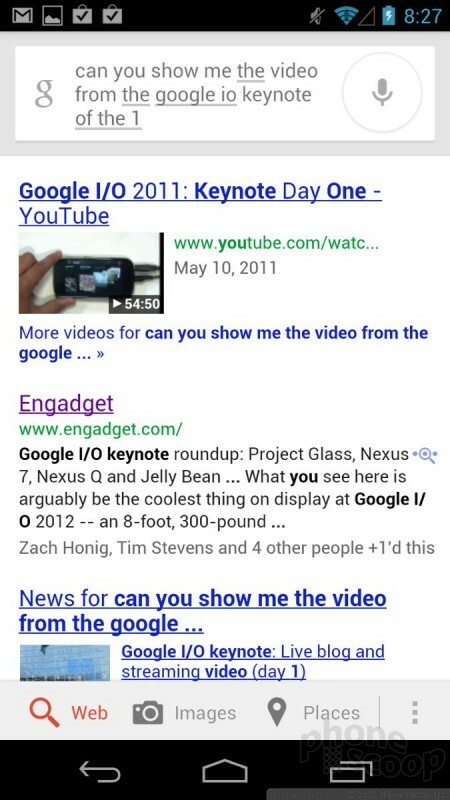 The highlight of Google I/O Day 1 was surely the introduction of Android 4.1 Jelly Bean. Though the incremental update doesn't completely rewrite the platform, this is a story about how what's under the hood is sometimes what's more important than what's covering it. 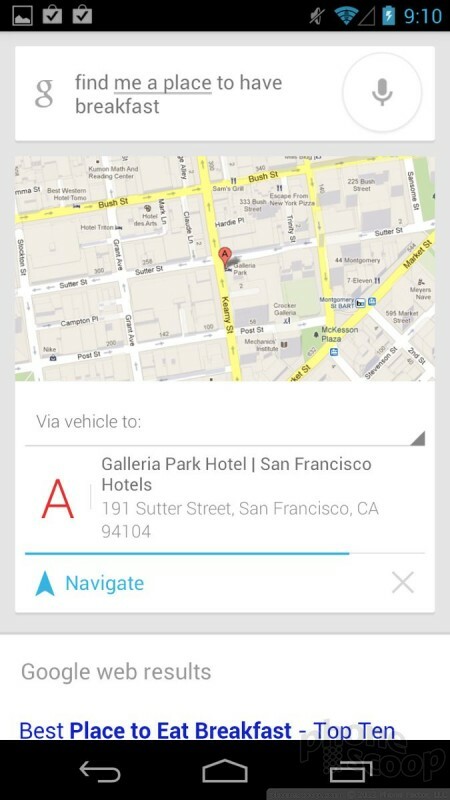 Google talked a lot about the performance upgrades and code optimizations it has added to Android 4.1. Google's on-stage presenters used a lot of fancy jargon and tech talk to say one, basic thing: Android 4.1 Jelly Bean is fast as hell. I don't really care what Google did to the underlying code, but I am in love with the result. Everything about Jelly Bean feels fantastic. As experienced on the Galaxy Nexus, it is lightning fast. Compared to the Samsung Galaxy S III with Android 4.0 I have on hand, the Galaxy Nexus with Android 4.1 destroys it in every way. Keep in mind, the GSIII has a superior processor. 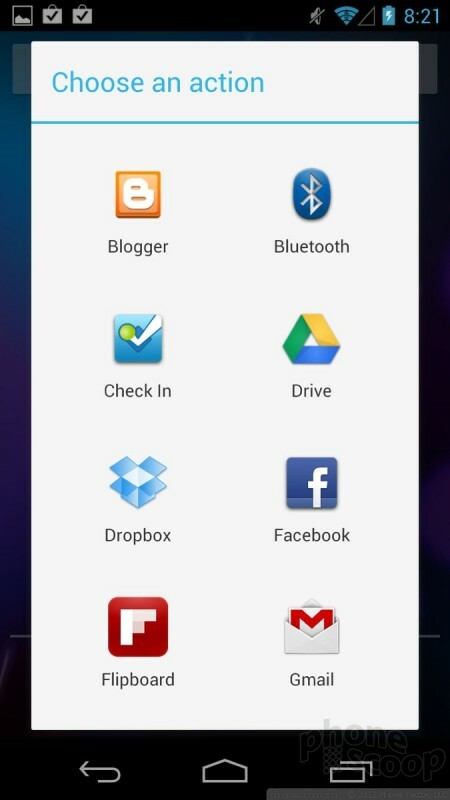 Screen transitions with Jelly Bean are smoother, apps pop open in a blink, swiping through apps and/or content is fluid. The user interface *almost* behaves as if it can sense what I am going to do next. Perhaps what's most striking is that the UI feels more complete. I get less a sense that it is missing something, or that Google left something out. It's all in there. Rearranging home screen elements has always been somewhat of a hassle on Android devices. Jelly Bean fixes that. It's not 100% perfect, but it's much, much better. Deleting apps, shortcuts, or widgets from the home screen is as simple as swiping them up off the top of the screen. No janky press-and-hold actions required. 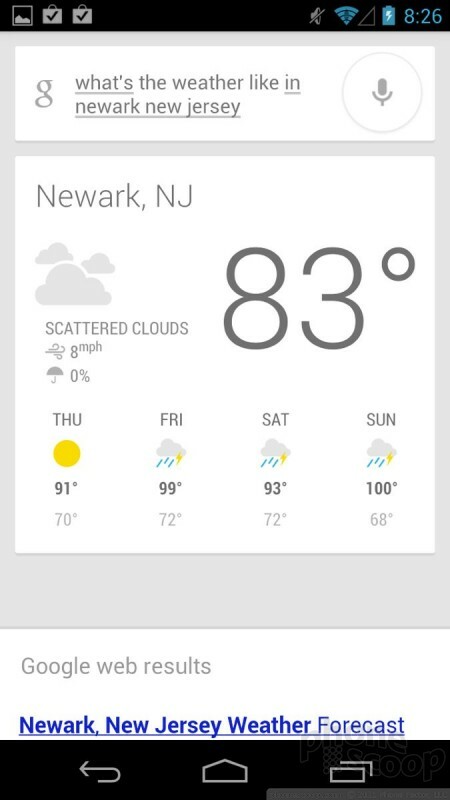 The best part is the improved way in which Jelly Bean handles widgets. Widgets come in all shapes and sizes. Even though the widget tool lets you see approximately how large any given widget is going to be, it can be difficult to judge whether or not a widget is going to fit on any given home screen. 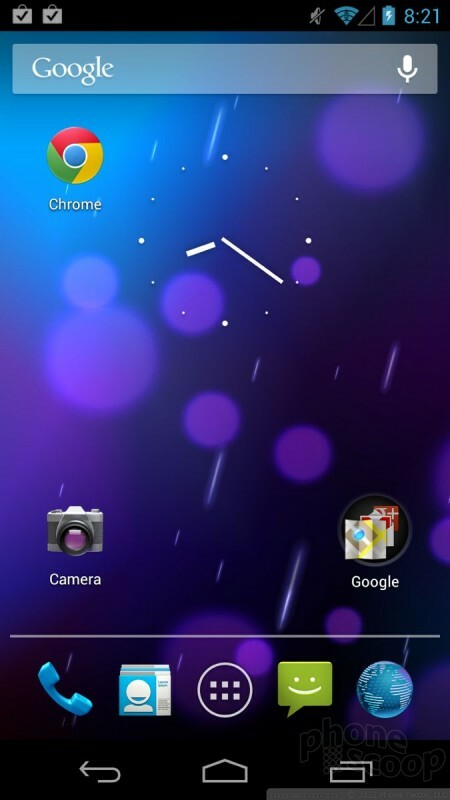 With Jelly Bean, dragging widgets from home screen to home screen is a breeze. The best part is that Jelly Bean will automatically resize (most) widgets to fit on whatever screen you've dropped it on. Sometimes it doesn't get it quite right, but that's only because the widget itself isn't flexible enough. 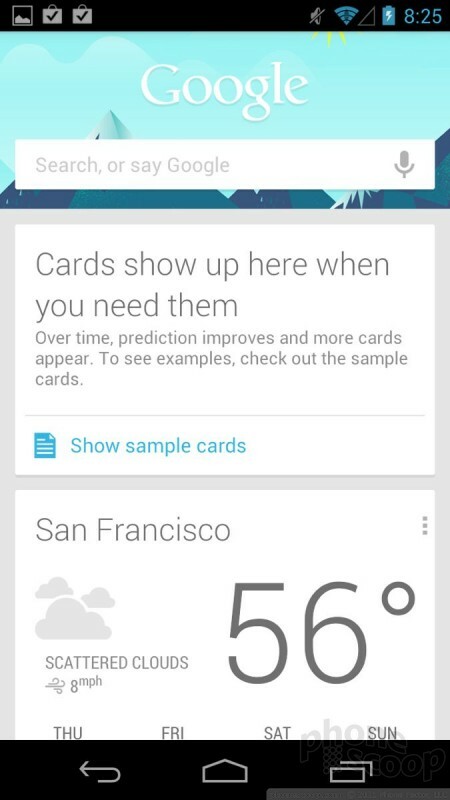 Otherwise, there's not much about the home screens that is visually different. 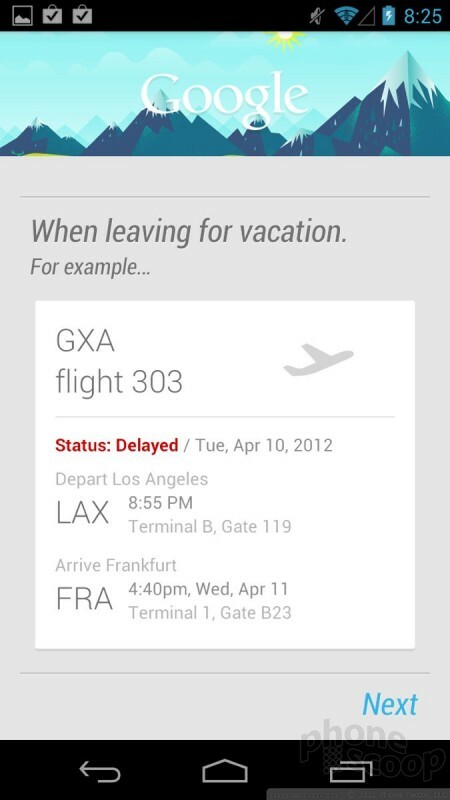 One of the big improvements in Jelly Bean is new notification shade behaviors. More than just a simple listing of missed calls, emails, and text messages, the notification center is now far more interactive. 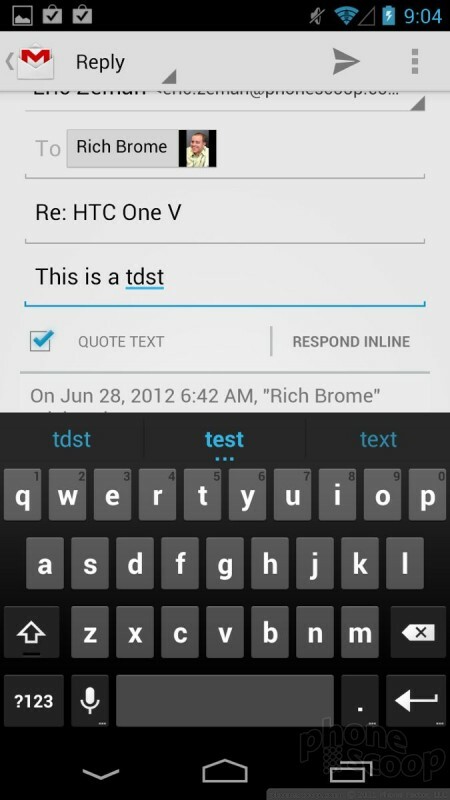 For example, incoming emails show more text than they used to, and it is easier to reply to a message directly from the notification shade. It also works better with social networks. Facebook, in particular, is neat because you can add Likes or comments to posts from the notification shade. 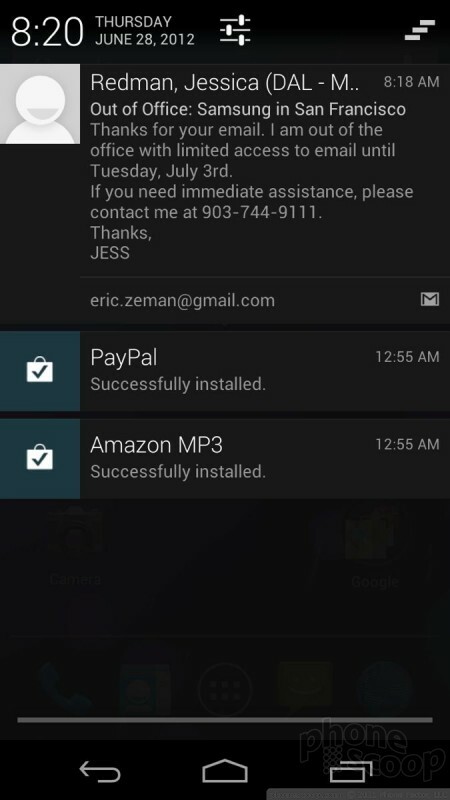 You can also do things such as share directly from the notification shade. I took several screen shots while going over the OS, and once the screen shot was saved, the notification shade had the little "Share" tool, allowing me to email, SMS, Tweet, or Facebook the screen shot I had just taken. 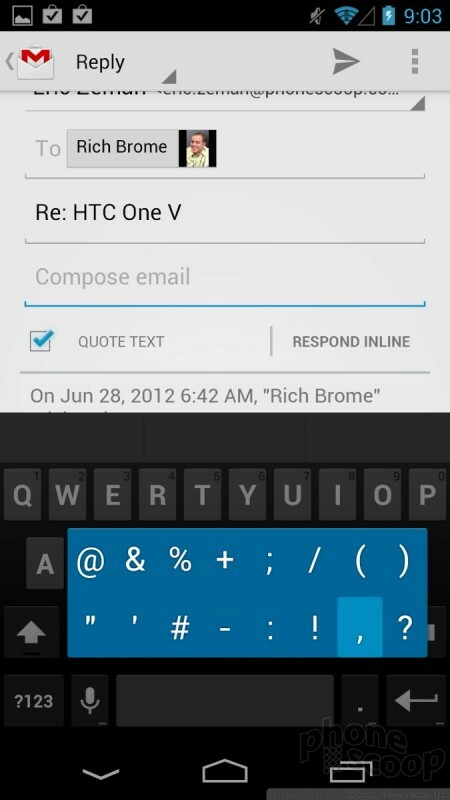 The stock Android keyboard employs new code that makes it more responsive and intuitive use than ever. 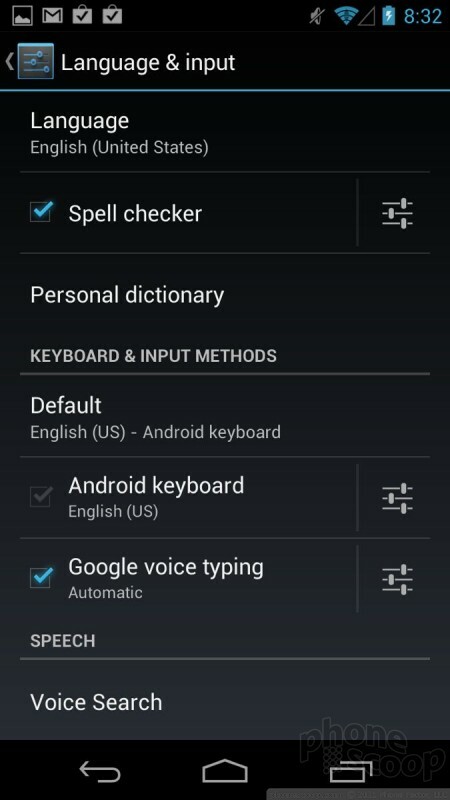 I found the Galaxy Nexus far easier to type on than the GSIII, for example. The system is set up to learn user behaviors, so it will eventually begin to offer word predictions based on oft-used phrases by the owner. The speed at which it guesses your words is flat-out amazing. It's leagues faster. I like some of the tools, such as press-and-hold the period key to get other punctuation options. This simply happens faster than before. It's so good, I don't think I'd switch to a third-party alternative such as Swype of SwiftKey X (both of which are excellent, by the way). Google Now is an interesting animal. 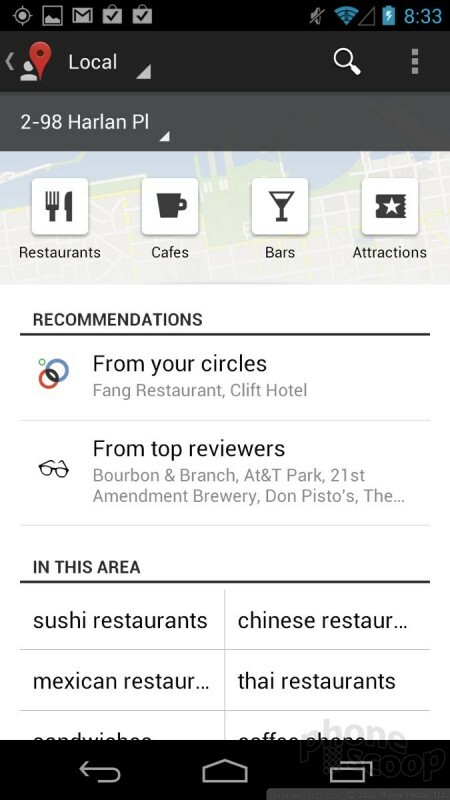 It's part voice search, part Siri, part S Voice, part companion, part ... something. Pressing the little microphone button in the Google search bar on the home screen launches it immediately. It fires up the microphone and expects you to begin speaking right away. The speed at which it transcribes your spoken requests into text is astonishing. It's nearly instant. It's the Millennium Falcon compared to a Star Destroyer. It can be used to perform simple web searches. It delivers near-instant results for easy queries about the weather, sports scores, news, and so on. The real neat aspect, however, is that it is somewhat aware of you and the stuff you're doing. For example, it can tell you that your commute home is going to take longer than normal because there's an accident on the road, or it can remind you to get moving to the airport, and so on. 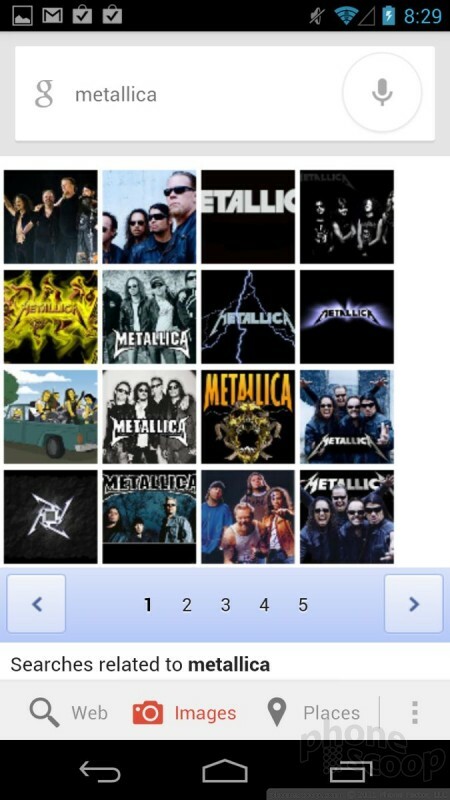 The best part is the way in which Google presents the information. Rather than offer simple text results, it delivers everything on pretty little cards. In my tests, at least a handful of cards can be active at any given time, and the remain live and waiting for updated data or further input should it be needed. 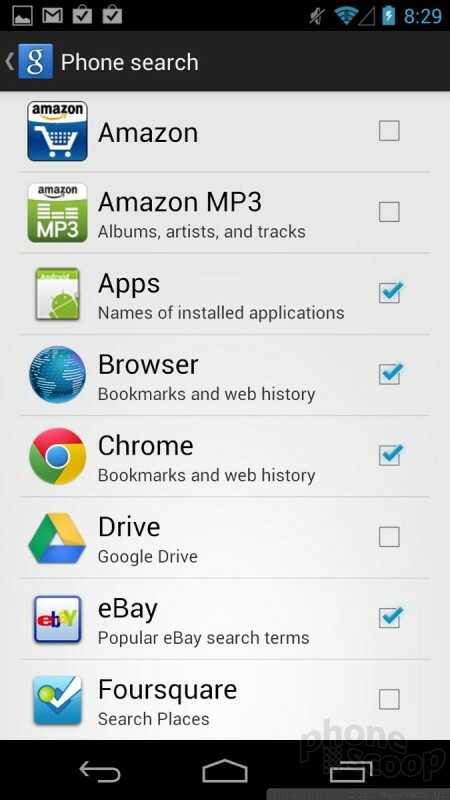 In other words, it preserves a bit of your search history, which can be a lifesaver at times. The cards are interactive, too, meaning you can push them around, pick through the content in each card. 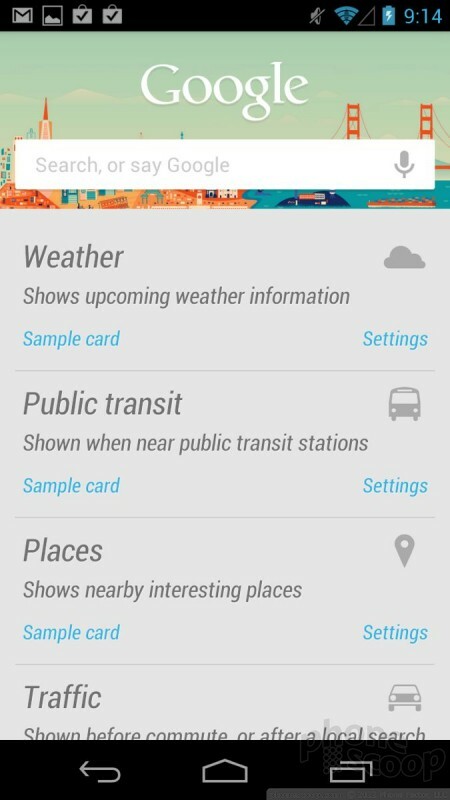 The basic types of cards include weather, public transit, places, traffic, flights, sports, appointments, translation, currency, and "time back home." It analyzes the user's search history and will eventually learn to prioritize results based on past actions. 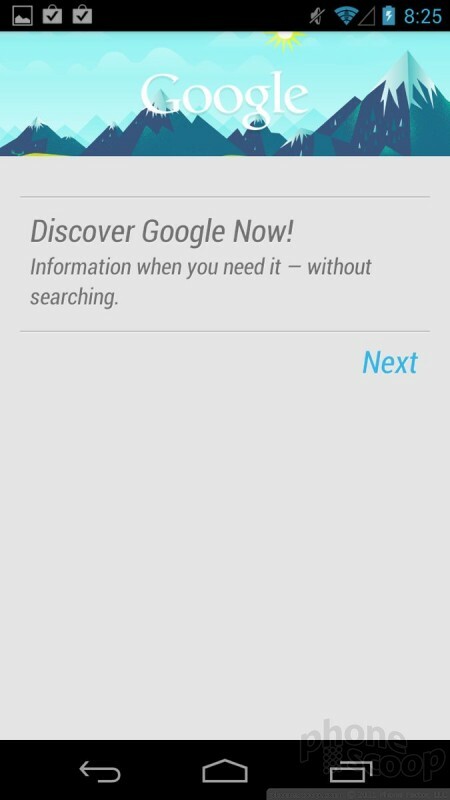 Simply put, it's the best search tool and voice companion I've seen on any phone. 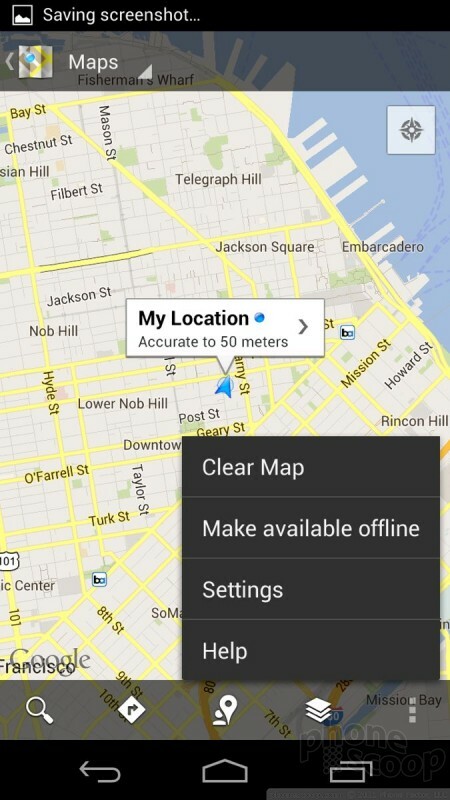 Though it isn't limited to Android 4.1 Jelly Bean, the latest version of Google Maps is on board the Galaxy Nexus and brings with it expansive offline map caching. I decided to look at this feature and found it very easy to use for downloading maps. 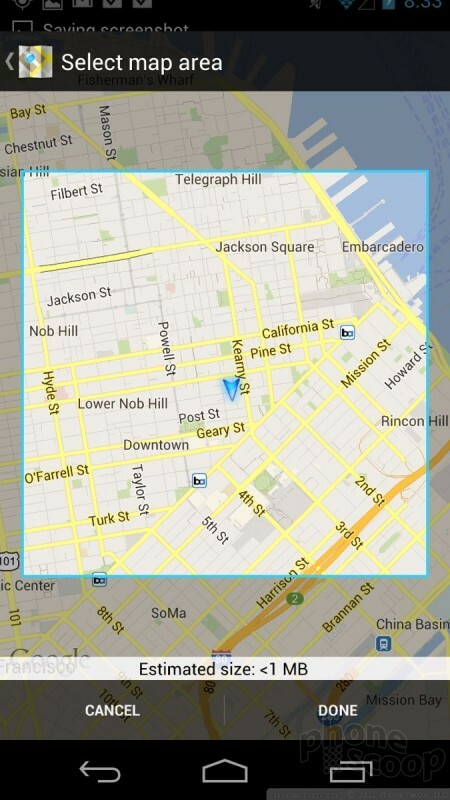 As you can see in the screen shots below, I was able to easily select certain areas of San Francisco and then cache them on the device. You can drill down to very specific areas, or expand the offline portion to a box covering 100 square miles — or about the size of most downtown metropolitan areas. As easy as it was to download the map, convincing the software to show it to me once the device was offline was a bit more problematic. I had to sever all network connections and then troll through the map app settings to find the stored data. Though it's not 100% intuitive, it works fairly well. Based on a few hours' worth of use, I can easily say that I am in love with Jelly Bean. 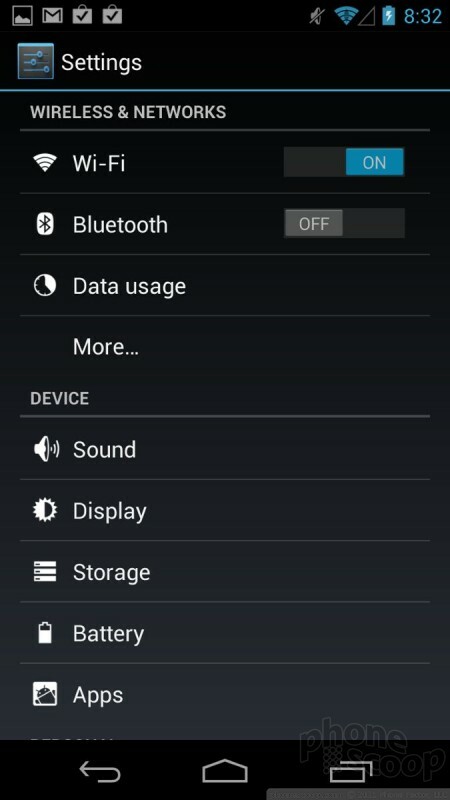 Android 4.1 may not look better than Android 4.0, but it certainly is better in every possible way. The speed improvements alone should be enough to make most Android users happy. Throw in the extra stuff, such as the new notification features, Google Now, improved voice dictation/search, keyboard, and homescreen features, and Jelly Bean is a tasty treat, indeed. The hazy story, though is if/when any existing devices will be updated to Android 4.1. So far, no carriers and no manufacturers have come forward in support of Jelly Bean. It will be pushed to the Galaxy Nexus and the Nexus S next month, but that's a pretty small batch of users. 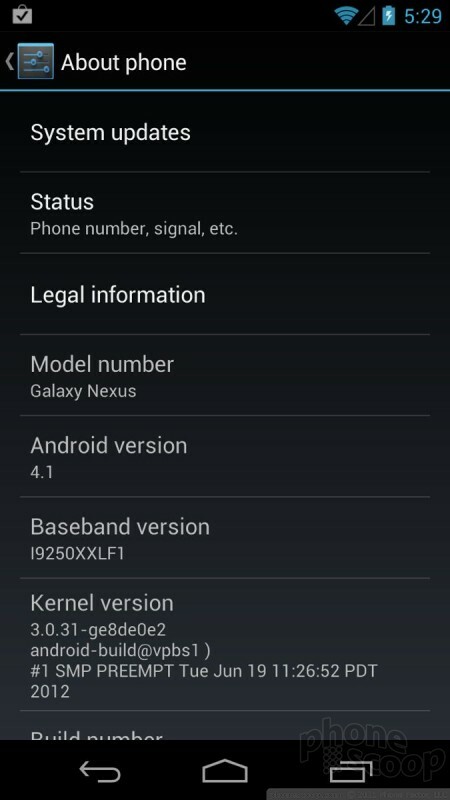 Google hasn't even said if devices running systems 2.3 Gingerbread and older can even update as far as Android 4.1. Right now, the only way to get it is with a Nexus device. Google doesn't plan to offer the base operating system itself to carriers and device makers until July, so it may be anywhere from three to six months before we see Android 4.1 Jelly Bean fully arrive. Google announced via one of its official Google+ accounts that it will begin distributing Android 4.0 Ice Cream Sandwich to the Samsung Nexus S starting today. The update will be rolled out to GSM units first, and will be distributed over the air gradually over the course of the next month.